These software extend functionality of the vCloudPoint system. We test every software before it is added here. For licensing software, you may purchase in bundle with vCloudPoint zero clients from our sales representatives. Support is intended to be provided by their respective owners. RDP Wrapper is a free open source project to enable Remote Desktop Host support and concurrent RDP sessions on reduced functionality systems for home usage. RDP Wrapper works as a layer between Service Control Manager and Terminal Services, so the original termsrv.dll file remains untouched. Also this method is very strong against Windows Update. Instruction: Download the RDPWrap.zip file and then unzip it. Simply execute the install.bat file but make sure to disabled anti-virus software during installation. If it is not working on Windows 10 with the latest update, run the update.bat file. If you are using a Windows XP, follow the guide to download another file purpose-built for Windows XP after clicking the install.bat file. Attention: It’s recommended to have original termsrv.dll file with the RDP Wrapper installation. If you have modified it before with other patchers, it may become unstable and crash in any moment. Beginning from vMatrix 2.0, vCloudPoint introduced a new feature that allows local videos played on the zero client with VLC player to be rendered locally by the client processor instead of the host cpu. This feature aims to significantly offload host-side cpu consumption on video playing and help support more video users per host especially for cases where simutaneous video play is often required. This feature is supported by VLC player of 2.1.5 or newer versions and works automatically after the installation of vMatrix 2.x. You just make sure you are using the correct versions of vMatrix and VLC player and VLC player is selected to play the video, then you are ready to “save”. 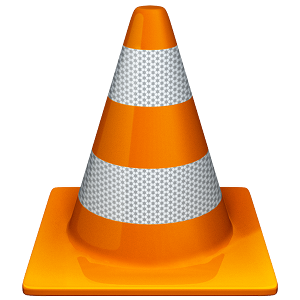 Note: As the media content is not rendered at the host side, there is a drawback of using this feature: media content within the VLC player cannot be viewed by the administrator through monitoring at the host side. vMatrix Classroom Control enables schools, colleges and training institutions to implement the power of computing in schools more quickly and affordably than ever, and helps maximize the return on their investment by providing teachers with the ability to instruct, monitor and interact with their students either individually, or as an overall class. Keep students on task and avoid distractions. Launch applications and websites for students. Monitor in real time all student activity. Show students your desktop, a video or an application. Easily share content with students. Drive down costs by managing and controlling printer access. Plan lessons and provide effective end of lesson review. Fully compatible with Microsoft Office 2003, 2007, 2013 and other formats. Supports various versions of Windows, iOS, Linux and Android. Supports English, French, German, Spanish and Portuguese. Easily switch between open documents using our Priority Tabs feature. Quickly share documents with built in emailing function. Keep your work safe with auto-save and document encryption. Access to 100’s of free templates. Access to WPS Cloud and File Roaming. Export files to docx, xslx or pptx formats. WPS Connect (file roaming, cloud back-up): 10G. Save to PDF without watermark. Writer (advanced): Track changes and comments, Mail merge, Form field locking. Presentation (advanced): Advanced animation, Comments, Export to compressed file / folder. Spreadsheets (advanced): Share workbook, Advanced formulas, Pivot tables. Note: the installing path must be non-user based, like “C:\Program files\” , otherwise non-administrator users are not able to run this software. Dr.Web Security Space includes applications that provide comprehensive protection for Windows and Android, and anti-virus security for OS X and Linux. If you want to switch from Windows to Mac OS X while your license is valid, you won’t have to replace your key file—just download the required distribution free of charge. Anti-virus — blocks viruses and malware from accessing the protected system and will cure the malignant programs that have already penetrated it. Anti-spam — detects spam and other unsolicited messages in any language, with next-to-zero false positives. SpIDer Gate® an HTTP monitor that scans webpages in real-time and blocks phishing websites and other dangerous web resources. Parental control — blocks access to websites by URL keywords and protects children from exposure to objectionable web content. The “restrict access” feature protects information located on removable data-storage devices and in files and directories from unauthorised access, theft, and deletion. 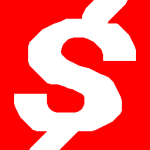 Anti-virus network component — lets you remotely control Dr.Web anti-viruses installed on computers connected to one local network. Firewall — an impenetrable barrier to hackers attempting to break into your system. If a PC is connected to the Internet, all URLs opened by the user are first authenticated in the cloud on Doctor Web’s servers. The URL is examined in real time regardless of how current the virus definitions on the user’s computer are. By regularly creating back-up copies of your files, the Data Loss Prevention feature will keep them from becoming corrupted by encryption malware. Simply enable this feature so that even if a Trojan encodes your files, you will be able to restore them on your own without having to request support from Doctor Web. Unlike conventional back-up programs, Dr.Web creates backups and protects them from intruders. Most modern threats can’t replicate themselves. People spread Trojans from one PC to another with their flash drives. Dr.Web can block access to removable media— flash-drives and any other USB devices, including webcams, cameras, and portable media players.